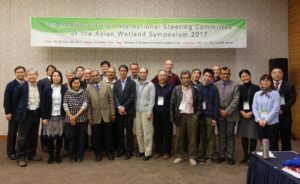 We are working with the organisers of the Asian Wetland Symposium to prepare for their conference from the 4th to the 10th of November this year, with a dedicated WLI Asia day on the 11th of November. There are opportunities to submit abstracts for presentations or posters to showcase your CEPA-related initiatives (or any of the other relevant themes), and we would encourage you to put together your suggestions if you would like to give a talk. See the details here: http://aws2017.org/callforabstracts.html, the deadline is next Monday the 26th of June. The Ramsar Regional Centre East Asia has some limited funds to support travel and/or subsistence, and this is more likely to be allocated to those that do submit abstracts. If you have any questions, please do let us know, and feel free to forward this information to anyone you think might be interested in attending the conference.